Yay, it's Friday! You know what that means? Vacay in t-minus 4 days! I honestly can't wait. Although we're not really going too far (the Hamptons) we've pledged to make this the best vacation ever. This is what a shopping addiction and minimal budget does to you... vacays at your own house. When I saw this heart sweater at J. Crew I knew we were meant to be. I absolutely love how big the graphic is, and like always, I'll take a statement piece any day. T-minus 4 days until the GIVEAWAY is over! lovely sweater and your jewelry is great! Love your leopard flats! Great colour coordinated outfit! so cute!! I love your shoes!! I love how smiley you look in these pictures! 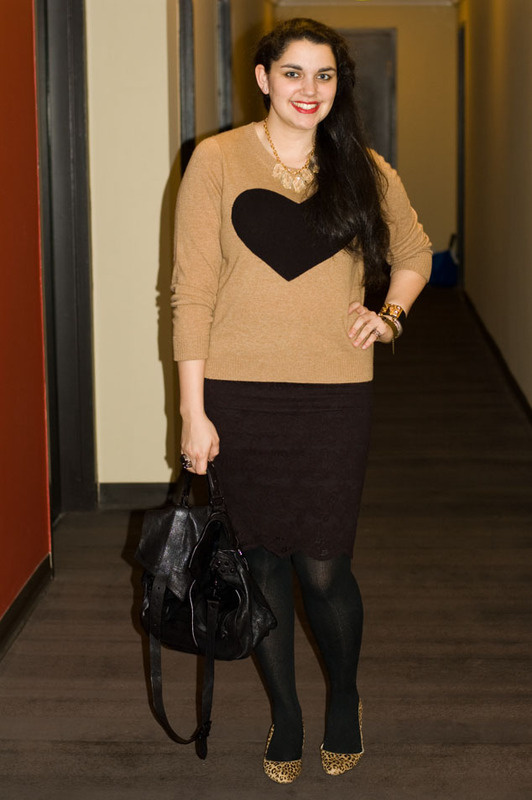 i love the heart sweater!